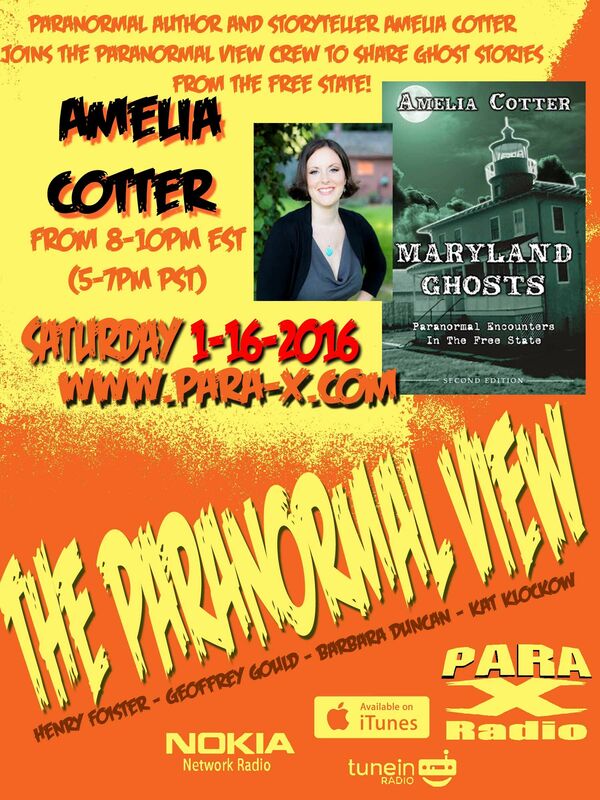 Tonight's show was returning guest, author and investigator Amelia Cotter, author of the semi-autobiographical This House: The True Story of a Girl and a Ghost. Strangely, as the show started, the live chat room was empty. Ceiling Cat Barbara Duncan confirmed we had listeners, so far in the US and the UK, but we were all surprised our Regulars were not yet in the chat. Henry suspected that the XAT server/s that field the chat room may have been having a problem. After a while, they began to turn up, whilst my own computer had enough browser issues I could not remain in the chat. Thankfully my Skype held throughout the show. Kat spoke about her recent How To Draw Manga event. Henry started out talking with Amelia about the Pry House, at/from which we broadcast the show last Halloween. Amelia worked with/at the Pry House Field Hospital Museum for a time, and the various creepy experiences we she had there. Kat conveyed some that went on during the Halloween evening when she and Henry were investigating. Amelia discussed the Dr. Samuel Mudd house museum as well as a few theories that John Wilkes Booth survived and didn't die in the barn fire that history claims in which he died. Going to the first break, Kat encouraged those who tweet to us at the show's @Paraviewradio account, to use the	#ParaViewLive hashtag as well. CC asked after the Coffin Factory, in Jarrettsville, Maryland which she initially "investigated" when she was a teenager. Henry had a question from the chat, about tunnels or "secret hallway" under Gaithersburg high school. Amelia suspected is could be an urban legend. Aussie Jeff Dean in the chat room asked about whether Amelia's earlier sickness (Hodgkins lymphoma), helped her more appreciate life and such. Amelia spoke about the 1758 Schifferstadt Museum, which apparently has a very haunted downstairs bathroom. Coming back from the second break, CC reported our having listeners in the US, the UK, Canada, Australia, and two Unknowns. She followed up asking about Amelia's Uncle Bernie sighting UFOs and such. He also apparently encountered a Gnome, in Maryland, and in western Pennylvania. We discussed various elemental type creatures; I told her the story of the Dark Elf in the previous New Jersey home in which I'd lived before moving to Los Angeles. Amelia said someone on the Virginia based R.I.P. Files had Something along these lines follow her home. Season One has already aired in Australia; season two has been filmed, season three is about to start, and they're still awaiting for its "sometime in spring" release in the far east. She can't discuss the current possibility of American airing/s. A chat room question had Amelia discuss fae sightings. Uncle Bernie came up again in the Devil in Hagerstown story, in which he wxperienced a Death like creature had actually come for him. Amelia concurred with my indicating it sounding like a Dementor. Kat asked about the Jerico Covered Bridge, considering the spooky photo with the book. Apparently it was a rite of passage for local teens; legend was that slaves were lynched on the bridge. Teens are supposed to drive up at night, switch off the car, then when restarting the car and turning on the lights, either in front of in the rear view mirror, one "should" be able to see people hanging. With just enough time, Henry had Amelia speak about the Old Yellow House, and the experiences of Amelia's friend; drop-ceiling tiles witnessed being moved about on their own. Kat asked about the hauntings at Hood College. Amelia had seen a seeming "bowling ball" floating in the room, which zipped off when Amelia was really getting a good look at it. Henry had Amelia give out her ameliacotter.com website, the ripfiles.com site, and its R.I.P. Files Twitter profile, herself being on Twitter and on Facebook, and even her her gmail. She did not point out that her books each have a Facebook age: Maryland Ghosts, and her This House book. I provided my website's Paranormal View hub page one can find the show's respective report pages, the show's official website, that we're very findable on Facebook, page, and to Follow me on Twitter. Kat gave out the show's @Paraviewradio on Twitter, her Jinxed Comic site, which also has a @jinxedcomic Twitter page, along with her @KatKlockow Twitter account, though not her own official website. We can be contacted by email.